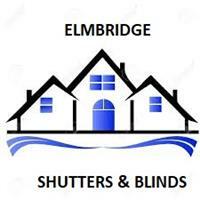 Elmbridge Shutters and Blinds is your one stop in Surrey in regards to all your window dressing needs. We are an established family-run business that specialises in the design and installation of plantation shutters, blinds and curtains. No job is.to big or too small. I.e. the taking down and putting back of existing products. We can offer solutions for any window setup and any budget. With the training and installation experience of many years at Hillarys Blinds & Shutters Ltd, and also training by S-Craft, we approach all projects in full confidence that we will leave you a satisfied customer. Our business is based on three pillars, quality, professional service and respect for the customer and his home. The customer can always rest assure that the consultation, the surveying, the ordering and the fitting will be done by the same member of staff, to guaranty a smooth operation. Call us on 07879014491 for an unpressured consultation, during which we will go through many samples and scenarios to arrive at the best solution for your home.